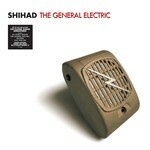 The General Electric is the fourth album released by Shihad. Originally released in October 1999, the album peaked at No. 1 on the New Zealand albums chart and has been certified double platinum. The album has been newly remastered and is being released on vinyl for the very first time. The General Electric features the singles 'My Mind's Sedate', 'The General Electric', 'Pacifier' and 'Wait And See'.